We are blessed with a team of enthusiastic and professional entrepreneurs that helps us to deliver top quality Shell End Mill Cutters that are cost effective and reliable. Helical Shell End Mill Cutters have cutting edges on the periphery and one end. Shell End Mill Cutters have 18" helical flutes and 12" positive radial rake. 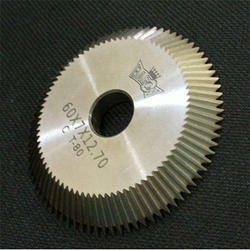 We are offering Milling Cutter. To furnish the diverse requirements of our clients in the best possible manner we are involved in offering an extensive range of HSS Milling Cutters. Backed by the talented team of professionals, we are involved in offering best quality of HSS Bore Type Milling Cutter. 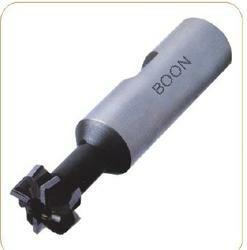 This HSS Bore Type Milling Cutter is extensively used for metal cutting. Further, the offered products are available in the market in wide range at most affordable rates. Due to the skills and proficiency of professionals, we are enormously praised for providing a wide series of HSS End Mill Cutter to our valuable patrons. With the valuable assistance of skilled team of professionals, we are engaged in offering an extensive range of high-quality Dovetail HSS Milling Cutters.